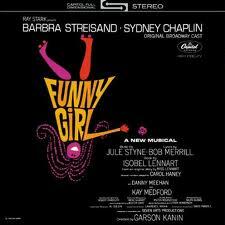 “People” was introduced by Barbra Streisand in the 1964 Broadway production of Funny Girl. This song has been popular since it was written. Streisand’s recording was the number one song in the country for four weeks in 1964. “People” was recorded on March 27, 1969, but was not released on I’ve Gotta Be Me until the Tony Bennett Complete Collection in 2011, though it was released as single and on various compilation albums. It was arranged by Torrie Zito. “People” was recorded in July 1995 and released that year on Here’s To The Ladies. The song is in tribute to Barbra Streisand. It was arranged and conducted by Bill Holman.